The Mac shifting to ARM may come as soon as a full decade after Steve Jobs died. 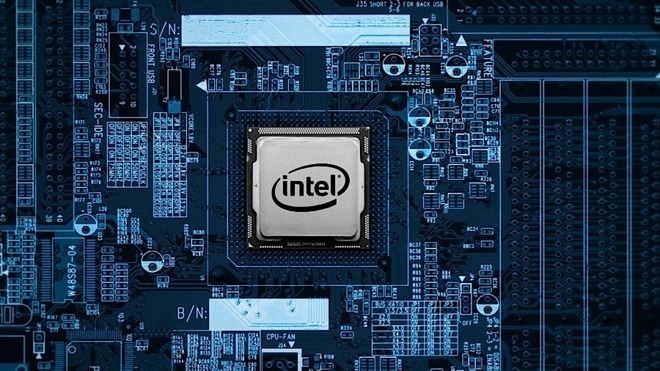 Yet, as well as championing and managing the Intel move in the 2000s, he also considered these major computer hardware architecture changes to be essential every decade or so. Even Intel expects that Apple will move away from its processors and instead base Macs on ARM chips. When it does so, Apple will be making an enormous change that will definitely require extensive work by software developers. They will have to convert their apps to run the new ARM processors and in some cases that's going to take significant effort. Yet in every case, it's going to be effort that customers will not even be able to notice at first. Ultimately, such a move allows software to develop and speed up, but initially it will all look the same. Apple will also probably take steps to make certain you can literally run existing software even as it works to move us to new apps on the new platform. And the odds are that Apple will pull it off. That's because it's been here before. While Windows, slightly oversimplifying this, has always just run on successive generations of X86 processors, the Mac has made major moves. If Apple moves to ARM in, say, 2020, then that will be its third major move in 26 years. Each time it has made the move for the same reasons and it has worked through the same processes to manage it. Back in 1988, Steve Jobs predicted something of the sort. He wasn't talking solely about Apple and his timing was a little off, but he claimed that all computer architectures, all computer systems, have a ten-year life. Speaking at the launch of his NeXT computer, he explained that he believed that it's the core architecture that defines a computer's capabilities and that ultimately each reaches its limits and each must be replaced. 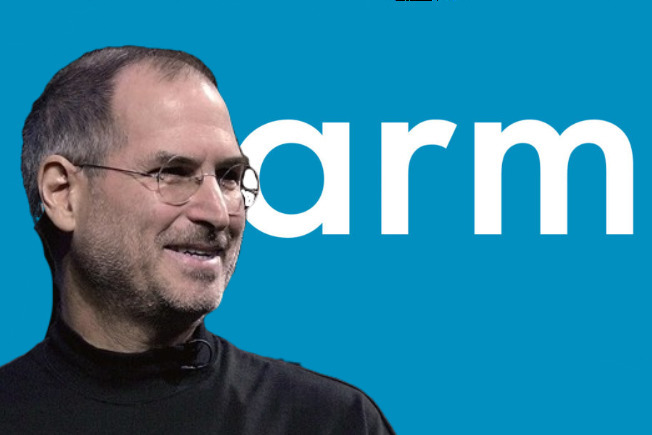 A move to ARM will be the third major, public change to the Mac architecture in its lifetime. Yet even before the Mac came out, there was a much less public change to this core technology of the Mac. Even though Apple was already using the Motorola 68000 processor in the Lisa, the Macintosh project in 1979 was planning to use a Motorola 6809E. That processor itself was cheaper than the 68000 but it also required less RAM to go with it so it was the right choice economically. However, Bud Tribble from the Mac project saw how much more effective and powerful the Lisa's graphics and capabilities were with the better processor. Tribble asked the Mac's motherboard designer Burrell Smith whether it was possible to use the 68000 without all the expense. Working over Christmas 1980, Smith made it happen. He couldn't make the 68000 cheaper, but he did design a system that got around the RAM issue. As a bonus, this workaround even got the 68000 running some 60 percent faster than it was on the Lisa. According to Andy Hertzfeld and Steve Capps in "Revolution in the Valley", this was the step that caught Steve Jobs's attention and ultimately led to him taking over the Mac. That 128K Mac didn't come out until 1984, but it had that Motorola 68000 processor and subsequent Macs did too. By the time of the Macintosh II in 1987, Apple was using the 68020, and for the Macintosh IIfx in 1988, it had 68030. Then in 1991, the Macintosh Quadra 700 was the first Apple machine to feature a Motorola 68040. That processor continued to be used in Macs for another four years but Apple next replaced it with its biggest processor move up to that point. In March 1994, Apple released the Power Macintosh 6100 with a PowerPC 601 processor. 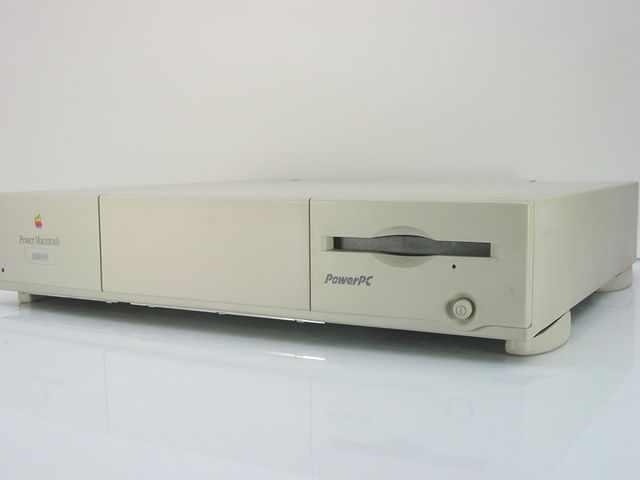 Where the Motorola range had been the by-then traditional CISC or Complex Instruction Set Computer, PowerPC used the markedly faster RISC. This Reduced Instruction Set Computer was based on designs originally by IBM and now developed by them, Apple and Motorola. Apple made this move even though Motorola was continuing to develop processors —and had its own RISC design —because it needed three things that the 68000 range simply wasn't providing. It needed processors to be fast, it needed them to run cool enough to be used in PowerBook laptops, and it needed there to be a promising future plan for upgrades. Motorola's 88000 RISC processor seemingly wasn't the high priority at that company, whereas the alliance working on PowerPC seemed to have a clear and achievable road map for the future. So Apple bet the farm on moving all its machines to PowerPC, and on getting software developers to rebuild and sometimes rewrite their software. It bet on customers buying the new machines for their speed and it hoped to encourage all of this by including a Classic mode. This let you run older apps on the newer machine and while it worked well, it was always meant to be to help as you transitioned to PowerPC. Since it worked out fine, it's tempting to look back with rose-colored glasses and say that the move was easy. Yet back at this point in the Mac's history, there were many different ways to develop apps. And a real reason for keeping Classic mode was because core features of the Mac, called the Toolbox, were sufficiently complex that Apple couldn't transition them in time. Apple was not in the strong market position it is today, either, so it couldn't have expected to make all developers switch to creating apps in one way. Instead, it had to cope with the demands of any programming environment its current developers were using. Steve Jobs wasn't involved in the move to PowerPC —though he said when announcing the transition away from it that "the team back then did a great job." And for years, PowerPC was able to let Apple boast that its Macs were faster than Intel PCs. By the time Jobs returned to Apple, however, that speed difference was not so pronounced and it didn't look as if it would return. Nonetheless, the processor used for a computer is so key that Steve Jobs was willing to compromise when necessary. As part of his plan to restore Apple to its previous success, he had decided to end the brief policy of licensing MacOS to other companies. However, he told Motorola's CEO Chris Galvin that he might make an exception. Jobs would allow Motorola's own StarMax clone of the Mac to continue —if Motorola would speed up work on future PowerPC processors for PowerBooks. 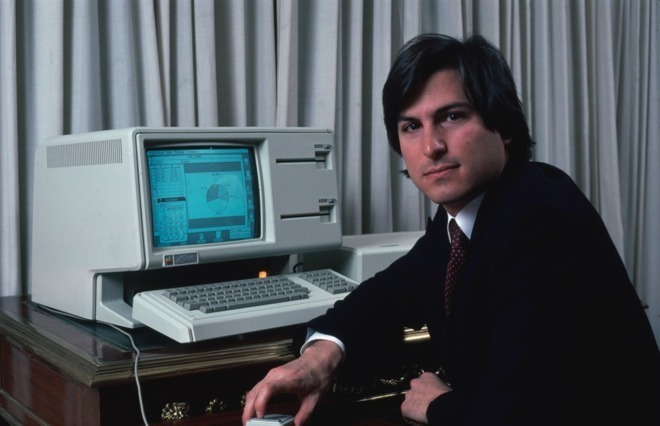 According to Jobs's biographer, Walter Isaacson, Galvin didn't like be pressured. This resulted in a row with Jobs ultimately deciding then to make the move to Intel. The Motorola 68000 series had lasted from 1984 to 1994. PowerPC reigned from then to 2005 when Apple announced it was moving computer architecture. Again. "Why are we going to do this?" said Steve Jobs at an Apple keynote presentation in 2005. "Didn't we just get through going from OS 9 to OS X? Isn't the business great right now? Why do we want another transition? Because we want to make the best computers for our customers going forward." He explained that Apple had plans for machines that the company just did not know how to make with the current PowerPC or the planned next versions of that. "I stood up here two years ago and I promised you this," he said in front of a slide showing a G5 PowerBook. "And we haven't been able to deliver that to you yet." Jobs announced a program whereby every one of Apple's Mac products would transition to Intel processors over the coming year. It would require developers to rework their software, but Mac OS X, as it was then, was ready. "Every release of Mac OS X has been compiled for both PowerPC and Intel processors," said Jobs. "This has been going on for the last five years." Apple needed faster processors, it wanted ones with a promising roadmap —and, again, it was specifically looking for ones that ran cooler. It was less about heat now and much more about the power consumption, but Apple needed it all and PowerPC wasn't going to be good enough. Apple did have one advantage in the move to Intel that it hadn't had with going to PowerPC. When Apple bought NeXT, it didn't just bring Steve Jobs back to the company, it brought the NeXT programming environment. The origins of what is now Xcode were a combination of NeXT's Project Builder and Interface Builder, and were first released for the Mac in 2003. Behind the scenes, Apple had been working on the move to Intel for years. In public, Jobs announced a 12-month plan to transition every Mac to Intel. Not only did Apple manage that, it converted the entire range from MacBooks to Mac Pro over to Intel in under a year. Fast forward to today, though, and we're in an eerily similar situation to all the previous moves. Now it's Intel whose roadmap is problematic. And it's Intel that didn't want to listen to Jobs any more than Motorola's CEO did. Intel could've had the iPhone business —Apple asked Intel to provide the processors —but it chose not to. Apple went to an ARM processor for the iPhone and yet Intel then still expected to get the iPad business, but it failed to. And, along the way, Intel even sold off XScale, an ARM chip producer that it owned. Maybe Apple would be looking to ARM-based processors now solely because of their performance, but it's got to help that the architecture works so phenomenally since that original iPhone. Today that series of processors is what keeps iOS devices working faster than rivals and that architecture, and Apple's control of it in the A-series processor, is crucial to iPhone and iPad business. Even so, it's only been in the last couple of years that rumors have predicted Apple moving the Mac to an Apple-designed ARM processor too. If the current situation with Intel processors holding Apple back is like the way it was with there Motorola 68000 and the PowerPC, there is one major difference since those days. Now Apple is much bigger than it ever was. It must've been difficult to persuade developers to invest in converting their apps to PowerPC simply because Apple was a quite small business then. It may have been easier to get them to convert to Intel because by then Apple was rising fast and already had the success of the iMac behind it. Today Apple is huge and that's got to mean developers will be far more willing to spend money converting their software to work on the new architecture. Yet it also means that Apple has a gigantically bigger number of users and moving them to a new processor is going to take time and care. There is also the issue of Xcode, though. Already since its 2003 debut on the Mac, it has become the way all developers create apps for macOS, iOS, tvOS and watchOS. It's one tool for developing on all of these different platforms, but each platform has been substantially different. Now, though, Apple is working to make it much more straightforward to use Xcode to make apps for more than one platform at a time. At the 2018 WWDC, Apple showed how it had brought certain iOS apps to the Mac through its next version of Xcode. The company said that its Stocks, Home and News were a proving ground where Apple could determine how to do this. More, Apple said that this was a "multi-year project" and that in 2019, it would be opened up to developers. This work, reportedly known as Project Marzipan within Apple, will make it easier for developers to create apps that work across macOS as well as iOS. However, in doing so in the short term, it will also help transition to ARM processors. Apple already has every developer using the single Xcode system, now it will be able to make changes to that to smooth the move away from Intel. Not to diminish just how hard a task that will be, still we can be sure that Apple will do it and specifically because it has done so before. Apple is the only computer company to make these seismic changes in its systems, but there could have been one more firm that tried. If Steve Jobs's NeXT Computer had been a success when it was launched in 1988, you can be sure that it would've gone through a major architecture change sometime in the 1990s. You can be sure because so was Steve Jobs. All the way back in 1988, he was right on the money about computer architecture and also about apps. Speaking at the launch of his NeXT computer, he said that all systems architectures have about ten years of life. At the start, you have to get people to build applications for it. "And around year five, it reaches its architectural peak," said Jobs, "then it goes into what you might call a glide slope. The architecture is everything it's ever going to be at that point." He said that "almost universally," companies press on with the technology they've got and even choose to let new alternatives pass by for fear of depending on customers not moving with them. All of this came from what Jobs called a model that NeXT had developed about computer lifespans. "As we applied our model to history, it fit pretty well," he said. "Even though very successful new models were introduced after the peak [of the Apple II], still the peak was in approximately 1982." Jobs said that the IBM PC running DOS had peaked in 1986. And that the Mac was going to reach its peak in 1989. He's standing there, promoting his new company, looking to regain his reputation from his Apple days, and still he tells the audience that all this applies to NeXT's computers. He predicted that NeXT would work for the 1990s and he was willing to stand there and say it to a room full of people he was hoping to sell NeXT machines to. Jobs claimed that computer architecture has ten years of life, but the Mac's Motorola 68000 really lasted from 1979 when Bud Trimble wanted to use it, to 1994 when Apple moved to PowerPC. That's 15 years in consideration, but only 10 years of service. Before Apple dropped the last PowerPC Mac, that processor had been around for 11 years from shipment to stop. If Apple does move to ARM processors in 2020, that will mean we had Intel processors in our Macs for 15 years. Jobs may have been exactly correct with his ten-year estimate and perhaps it's just that companies have since held on to successful processors longer than they should. Yet he was definitely right that Apple needed to move architectures —and Apple certainly did it right every time so far.